Happy belated Monday everyone! You’ll have to excuse my tardiness, I had a “vacation day” yesterday. When you’re twenty something and work a full time “real job,” a vacation day usually consists of laundry, grocery shopping, doing the dishes etc. I did get to go to the track (Saratoga Race Track) yesterday for a few hours though…lost 14 whole dollars, not impressed. Anyway, I had a busy weekend. I was out of town, in Providence, RI. What a fun city. As you may or may not know Rhode Island is one of my travel territories for Saint Rose (along with CT and VT) so I have become very familiar with Providence. 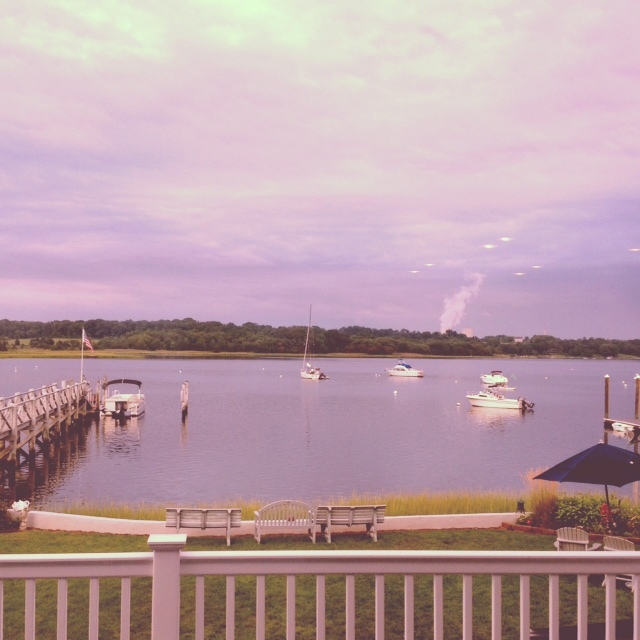 This weekend it wasn’t work that brought me to Rhode Island, it was pleasure, if you will. 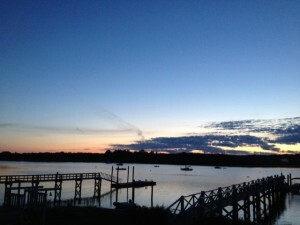 My friend Katie and I headed to Rhode Island for the Rock ‘n’ Roll half marathon. 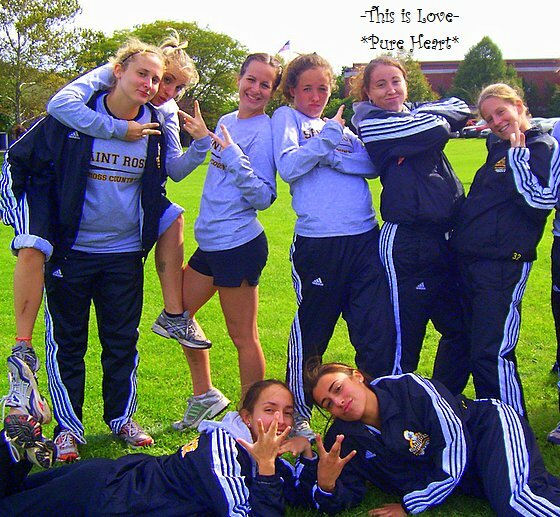 Katie was my teammate in college for cross country and track and field and is a very good friend of mine. This was supposed to be our first half marathon, and we were going to run it together. Unfortunately, because of some health issues, I was unable to run on Sunday. However I was not going to leave Katie high and dry so I went a long for the trip. We had such a great time. The Rock ‘n’ Roll marathon series does such a great job from start to finish. 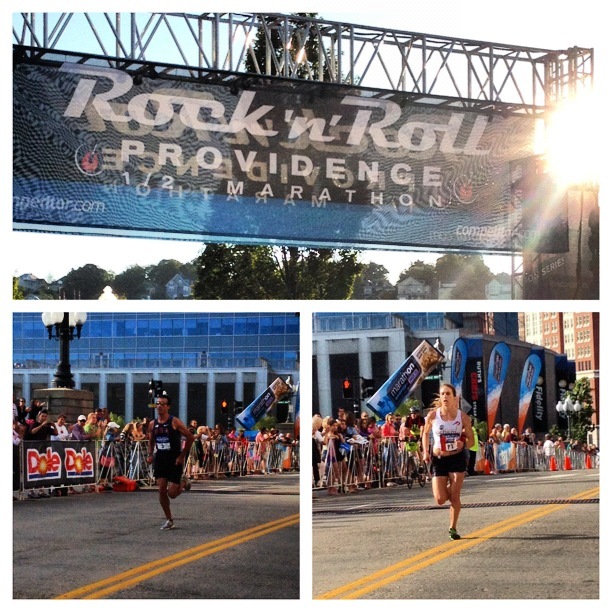 If you’re interested in running a half marathon or marathon I HIGHLY suggest having the Rock ‘n’ Roll be your first, they’re held all over the country. Weekend went on without a hitch…minus the problem with our hotel, who shall not be named, problem being they put us in a “smoking room” without our consent, I don’t know about you, but I don’t know many runners who want to be put in a “smoking room” the night before running a half marathon…anyway we were stranded because every hotel in the state of Rhode Island was booked. Thankfully I remembered a friend who lived in RI. I actually met her last year during travel season, she worked at Rhode Island College and she was more than welcoming and told us to come stay at her house for the night and boy did we luck out. 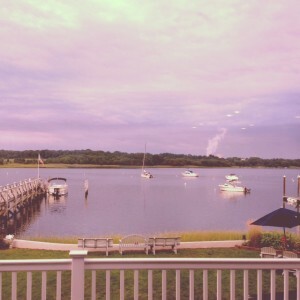 She just so happens to be living right on the water in her families beach house. We could not have asked for a better place to stay or a better host…(thanks again, you’re amazing)!!! All in all we had an amazing weekend and Katie ran so well (under 8 minute miles for all 13.1 miles), yeah she’s amazing. To bring this back to reality and the wonderful world of college admissions I will say this, some of the people you meet in college will become life long friends, you’ll have many memories of college and many after college, treasure them. Value and appreciate the connections you make, whether it be through school or the workplace, it never hurts to meet new people and make new friends. I’ll be back later in the week to give you an update on what’s happening on campus and in my office. As always, thanks for reading and enjoy your week! 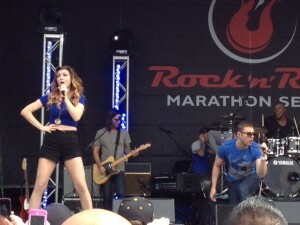 Oh my…I almost forgot, after the race we heard a live performance from Karmin. 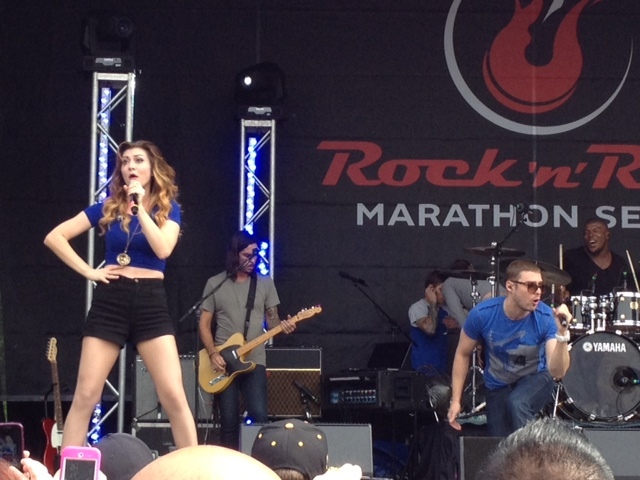 If you don’t know who they are, check them out now, they’re so much fun and oh so talented.